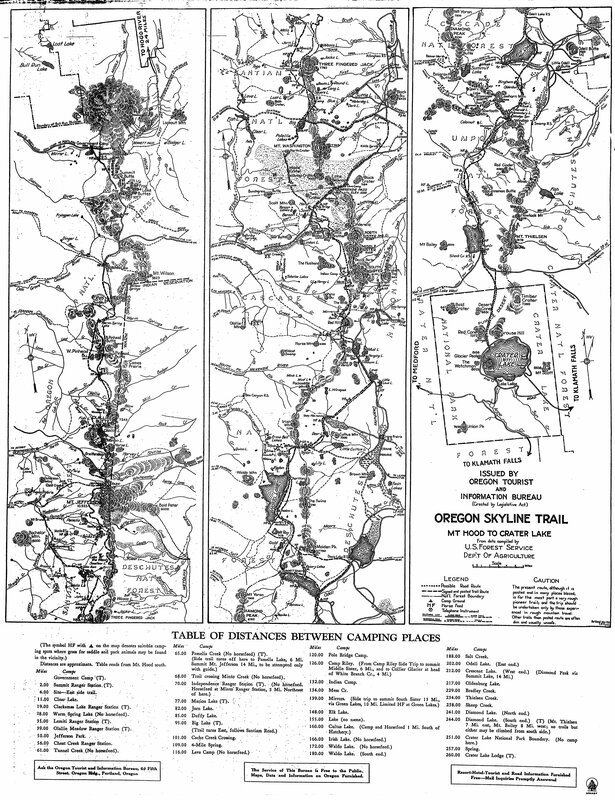 Forest Service Trail Handbook -1935 – All sorts of policy info including Plans, Location, Construction, Marking and Maintenance of trails. Background on Place Names – A page showing some historical background on how some places were named in the district. Lieutenant Abbot and Sam An-ax-shat – Abbot made surveys in the district in the early 1850’s and Sam An-ax-shat was an Indian guide who helped him navigate the district. 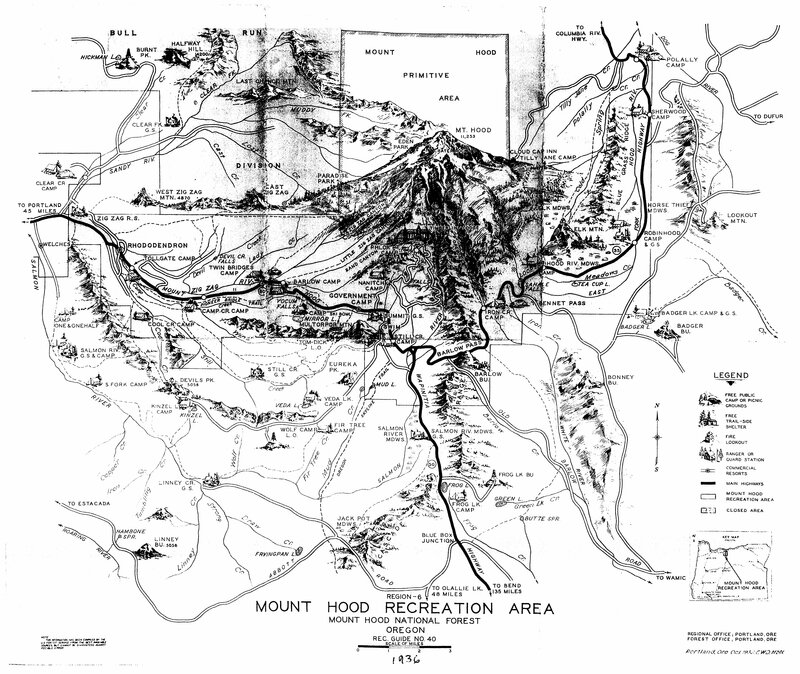 National Forest Development in the 1950s – A PDF from a retired ranger showing some very interesting aerial photos of the district as well as some other historical information on developments and logging activity. Undated early 1900’s map of the northern part of the district – kind of an overview. Undated early 1900’s map of the northern part of the district – second view – kind of an overview. 1945 Firemans map of the northern part of the district. 1945 Firemans map of the southern part of the district. Undated 1950’s map of the northeast part of the district – This is an undated map, but guessing it is from sometime in the 50’s. Undated 1950’s map of the central/west part of the district – This is an undated map, but guessing it is from sometime in the 50’s. Undated 1950’s map of the northwest part of the district – This is an undated map, but guessing it is from sometime in the 50’s. Undated 1950’s map of the northeast part of the district – another view – This is an undated map, but guessing it is from sometime in the 50’s. Undated 1950’s map of the central part of the district – This is an undated map, but guessing it is from sometime in the 50’s. 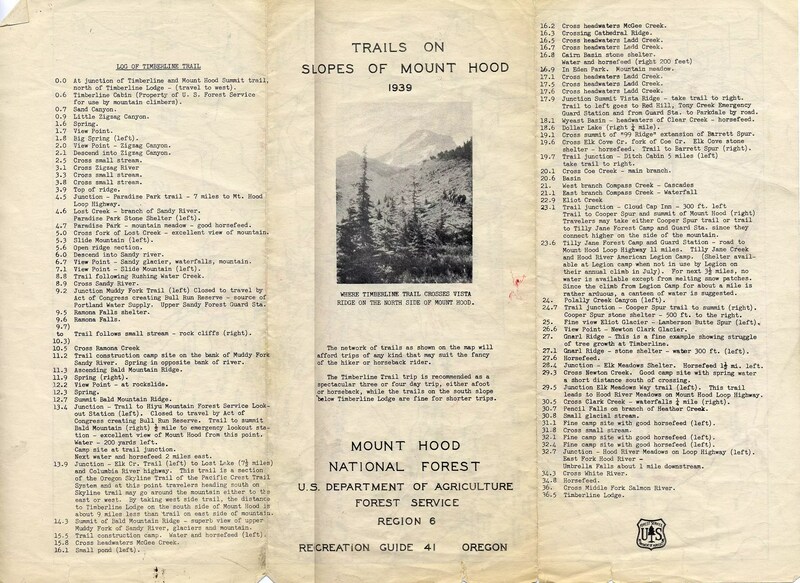 Trail Maintenance Editorial – 1975 – discussing lack of maintenance and also a Forest Service Internal Memo response to it. External page with additional details of the panoramic lookout photos.